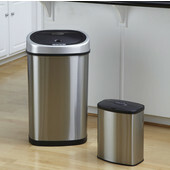 These Infrared Trash Cans from Nine Stars have a motion sensor that automatically opens the lid when you are within 10 inches of the sensor and closes after 6 seconds, so you never have to touch the trash can. 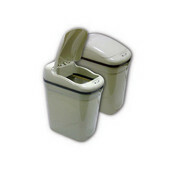 The trash cans also feature manual open/close buttons and a power-saving on/off switch. 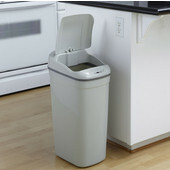 The garbage bag retainer ring prevents spillage. 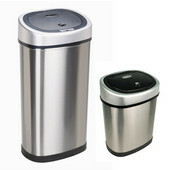 The trash cans require four C batteries or four D batteries, which are included with your order. 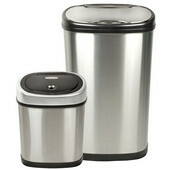 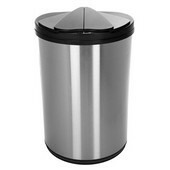 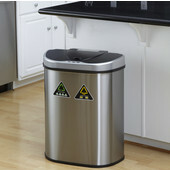 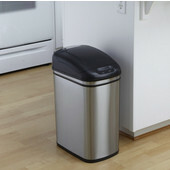 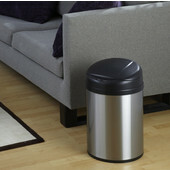 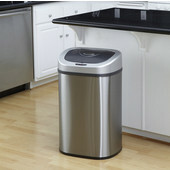 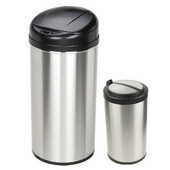 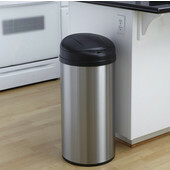 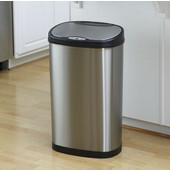 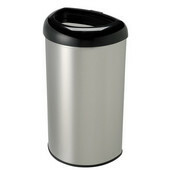 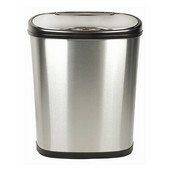 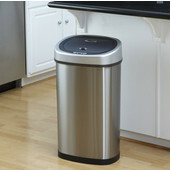 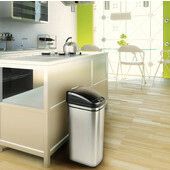 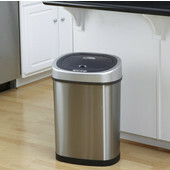 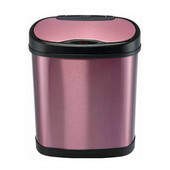 The trash cans are available in stainless steel and plastic and come in a variety of sizes to suit any room or decor. 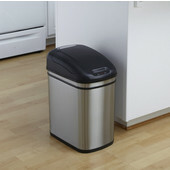 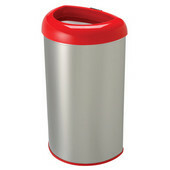 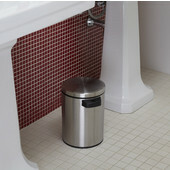 The plastic infrared trash cans are available in Cream, Gray, Red or White colors to match your room. 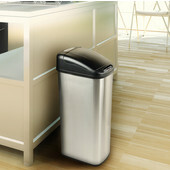 A two-year warranty covers the lids of the infrared trash cans.